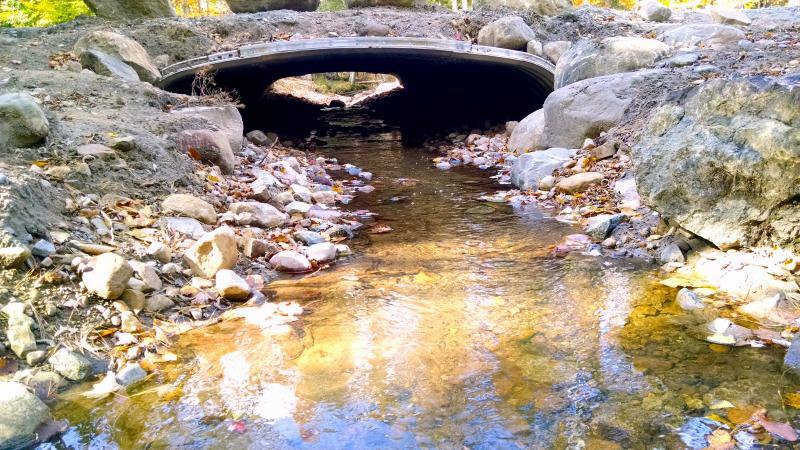 This summer the Ausable River Association (AsRA) led the installation of a model culvert in the Town of Wilmington. The old culvert on this beautiful small brook trout stream was an undersized 30-inch pipe that caused regular flooding of the residential town road and blocked the passage of native fish to cooler habitat upstream. In its place, AsRA and our partners – Towns of Wilmington and Jay, The Nature Conservancy's Adirondack Chapter, NY State Department of State, US Fish and Wildlife Service, and Essex County Soil and Water Conservation District – built an appropriately sized arch culvert with an open bottom and natural streambed. 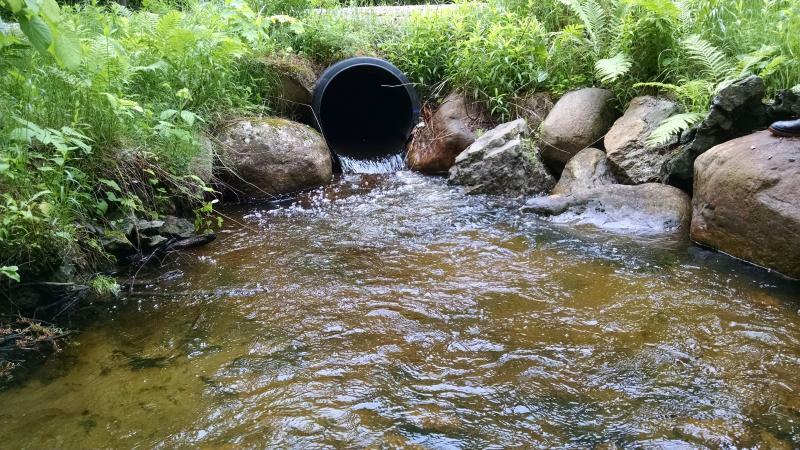 The first of its kind in the Ausable watershed, the new culvert provides safe passage for fish, other wildlife, and notably reduces town long-term maintenance costs. This project is part of a initiative led by the AsRA and the Adirondack Chapter of The Nature Conservancy to improve stream connectivity, fish habitat, and community flood resilience in the Ausable watershed by replacing road-stream crossings with designs engineered to allow for natural stream pattern and flow. Under rural roads throughout the Ausable watershed, streams are routed through plastic or steel pipes often significantly narrower than the width of the streams at normal flow. During high flow events, undersized culverts can become blocked by debris and sediment, flooding roads and property. High flows forced through undersized pipes become water cannons, scouring away soil at the downstream ends of culverts, creating large dropoffs, impassable to fish, to the streams below. This causes bank erosion and sedimentation, creates flood hazards to property and infrastructure, and blocks native fish from moving upstream, diminishing their capacity to survive and reproduce. Small though this stream is, it supports a healthy population of native brook trout and meanders through a biodiverse forest area. For decades, the stream has been interrupted, forced from its preferred width of several feet into a 30-inch plastic pipe. Now an appropriately sized restored natural streambed runs under the road. Gentle higher rock banks inside the arched aluminum culvert help manage flood flows and in normal flows allow the passage of smaller wildlife like salamanders, frogs, snakes, mink, fisher, and foxes. The appropriately shaped primary channel moves water and debris through the culvert – as if the road were not even there. 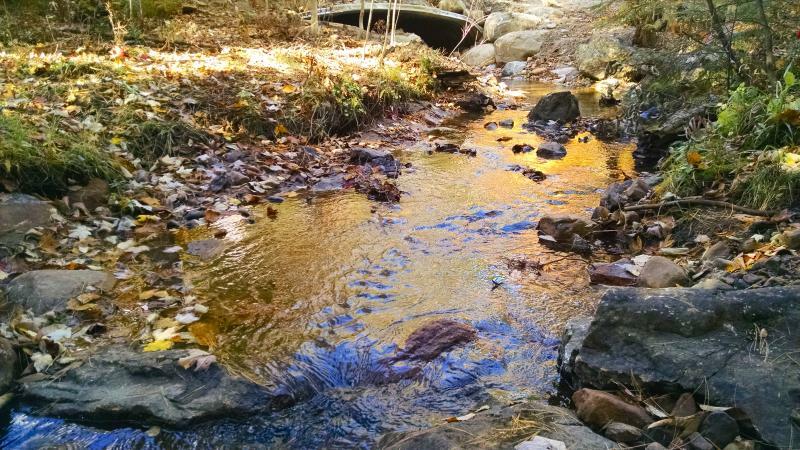 Within hours of removing the pipe and restoring the streams flow, brook trout moved effortlessly through the culvert and upstream, free to migrate. AsRA provided the initial morphological survey description of the stream, coordinated with the landowner, led the permitting, contracted with the engineer, and supervised construction. We'll continue to monitor the effects of the new culvert to track on our goals for the work and inform upcoming projects. Photo highlights below in the slider. Here, the downstream end of the pipe before construction. Pretty with all the green, but constricted and perched. Three weeks after construction, seeded but no lush growth likely until spring, the stream is in balance, restored, and capable of maintaining itself in high flows. Brook trout began moving through the new culvert hours after construction.